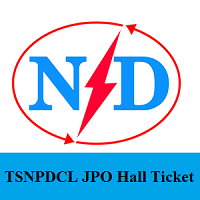 TSNPDCL JPO Hall Ticket 2019 Date is Out….!!! So, candidates who have submitted the applications for the 25 Junior Personnel Officer posts through the తెలంగాణ రాష్ట్రం నార్తర్న్ పవర్ డిస్ట్రిబ్యూషన్ కంపెనీ లిమిటెడ్ Recruitment 2019 must get ready to attempt the test. And the TSNPDCL JPO Admit Card 2019 will be available from 4th February 2019 on the official site @ tsnpdcl.cgg.gov.in. Also, you can get the complete TSNPDCL Selection Process 2019. Remember, that you can only download it online when the link is activated. You can even observe the direct link to Download TSNPDCL JPO Hall Ticket 2019. Moreover, the officials of the Telangana State Northern Power Distribution Company Limited (TSNPDCL) had announced the exact JPO Exam Date on their official site. And the scheduled date is 10th February 2019. Get all the essential information from each section of this page. 1.6 How To Download TSNPDCL JPO Hall Ticket 2019? The తెలంగాణ రాష్ట్రం నార్తర్న్ పవర్ డిస్ట్రిబ్యూషన్ కంపెనీ లిమిటెడ్ Junior Personnel Officer Admit Card 2019 is the mainly required document to appear for the examination. Hence all the applicants who are going to appear for JPO examination must initially download the hall tickets from TSNPDCL official website. Hall tickets will not be sent to the applicants by post. TSNPDCL JPO Admit Card 2019 has to be preserved until the final TSNPDCL Selection Process. The scheduled TSNPDCL JPO Exam Date is 10th February 2019. So, candidates need to get ready with their TSNPDCL JPO Admit Card 2019 to attempt the test effectively. The selection of candidates for appointment will be made 100% on the written examination. And only those candidates who qualify in the written examination by being ranked high, community wise will be called for verification of Original Certificates in 1:1 ratio. different centers located in GHMC area of Hyderabad. Moreover, the JPO Written Test will be conducted in ENGLISH & TELUGU language only. While the TSNPDCL is going to shortlist the suitable aspirants on the basis of their merit in written test and interview rounds. Candidates have to qualify all the rounds in the TSNPDCL Selection Process 2019 with good merit to own the TSNPDCL Junior Personnel posts. The officials of the Telangana State Northern Power Distribution Company Limited (TSNPDCL) are not going to allow the candidates who are not with their TSNPDCL JPO Hall Ticket 2019 with any ID proof. So, carry any one of the printed copy of the below mentioned documents for the TSNPDCL JPO Exam 2019. How To Download TSNPDCL JPO Hall Ticket 2019? Move to the official site of the Telangana State Northern Power Distribution Company Limited (TSNPDCL) @ tsnpdcl.cgg.gov.in. Check the Latest News section on the home page. Search for the flashing link that refers to the TSWNPDCL JPO Admit Card 2019. Click on that link, then you will be redirected to the new page. After that, you must enter all the required details like the Application Number, Password, Date Of Birth to access the login. Download the appeared TSNPDCL JPO Hall Ticket 2019 to your PC. Keep a copy with you until the recruitment process ends. Hope all the candidates have notified the exact information of the TSNPDCL JPO Hall Ticket 2019 from the current article. So, to get all such updated information, you can visit our Freshers Now webportal.